The Colombian mushrooms provide a stronger trip than for example the Mexican and Thai. 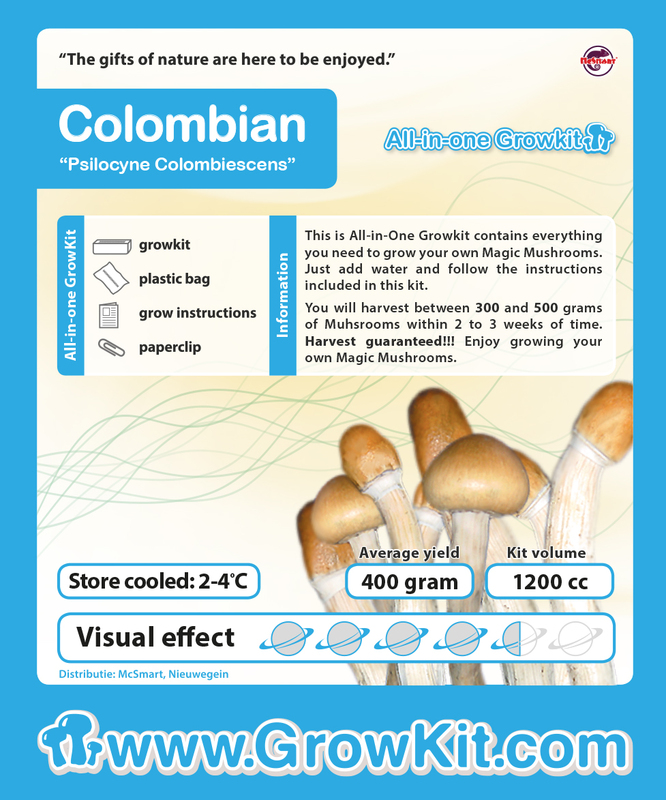 The Colombian mushrooms provide an intense experience of the world around you, in addition you will be brought to higher realms by the Colombian. The growth of the Colombian All-in-One Growkit takes more time than the Thai en Mexican.